John H. Dalton, Secretary of the Navy under President Clinton, announced his endorsement of Ammar Campa-Najjar on Friday and blasted Rep. Duncan Hunter for attacking his opponent’s heritage. Hunter has attacked Campa-Najjar as an “Islamist” because his father is Palestinian and a grandfather he never knew was a terrorist. Campa-Najjar was raised in East County by his Catholic mother and is a Christian. 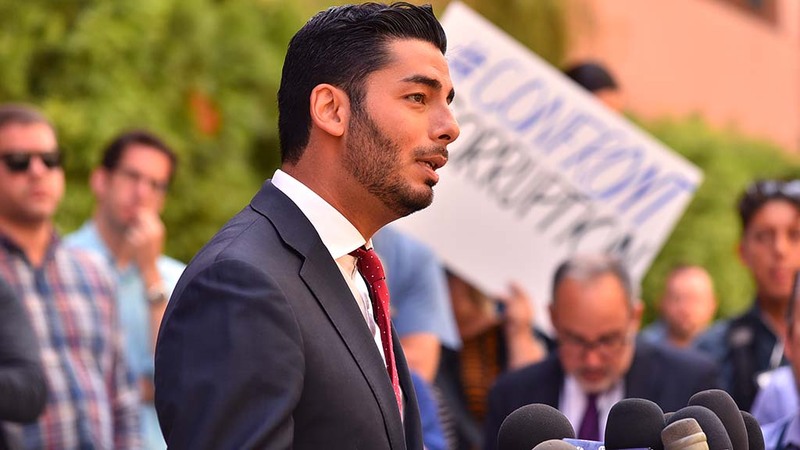 Campa-Najjar, a Democrat, is seeking to end the Hunter family’s nearly four-decade control of the 50th Congressional District in East County.